Grab your glasses and head for a taste of the Tropics when you sip through a straw on this Hawaiian Blue Cocktail. 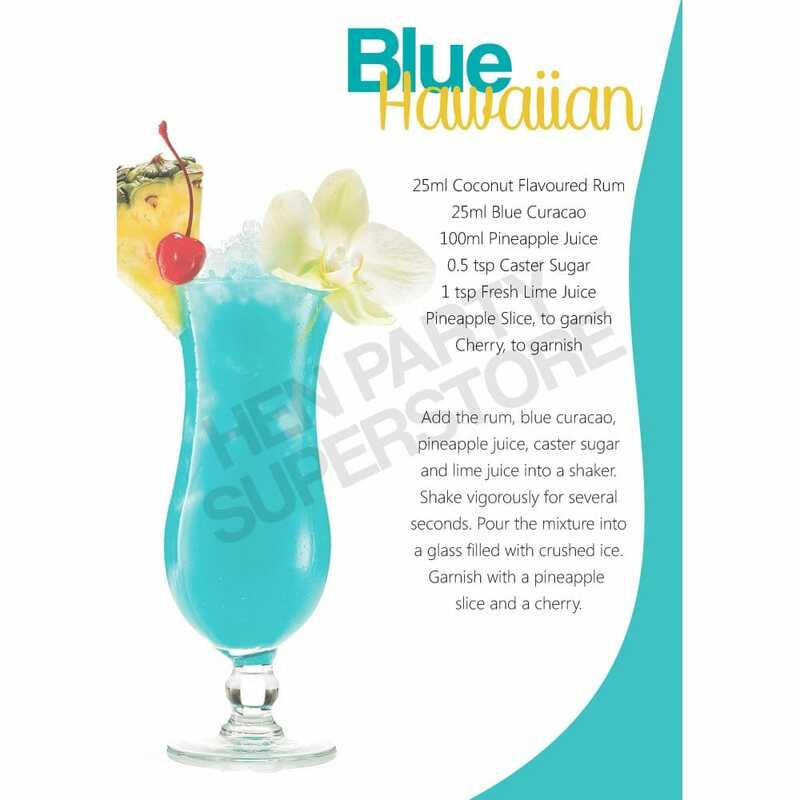 All your hens will feel like they have been transported to a Blue Lagoon tasting the wonderful flavours of coconut rum, blue curacao and pineapple. Just throw in some ice and top it off with a juicy piece of pineapple to complete this thirst quenching delight.